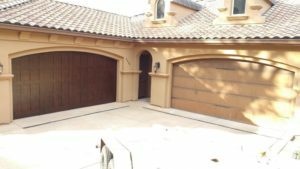 Our latest project for clients in El Dorado Hills, CA was installing custom wood carriage house doors as a way to make over their exterior. 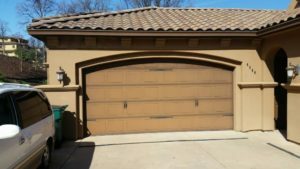 Carriage House doors are very popular, not only for their looks, but for their quality. 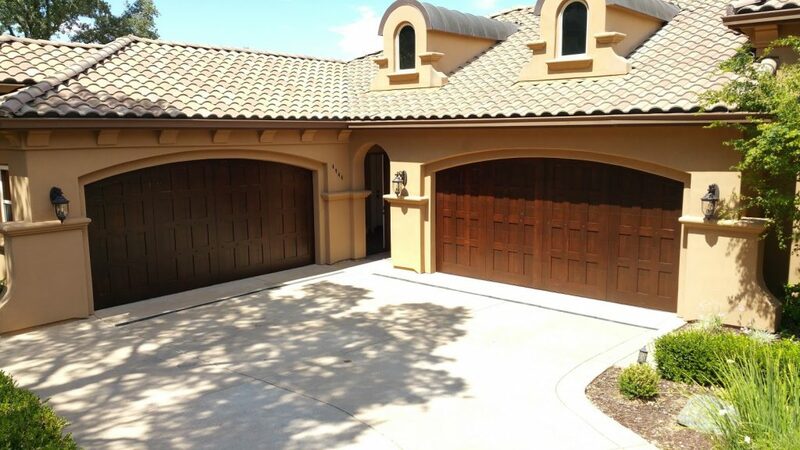 Upgrading to Carriage House doors can help increase the value of your home! The doors were just fine before the switch, as you can see. They definitely needed some fresh paint after the sun pounded on them for years and weathered the doors. But otherwise, not bad. 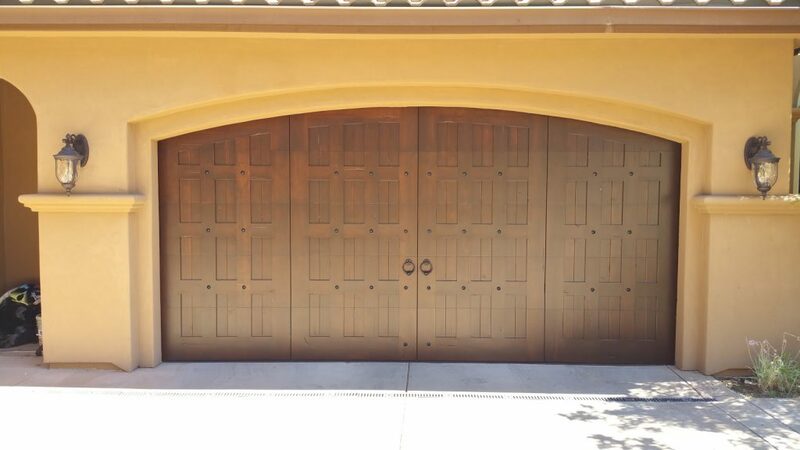 The Carriage House doors that these clients installed are steel-backed wood garage doors. People love the old-world style and look they bring to their home. 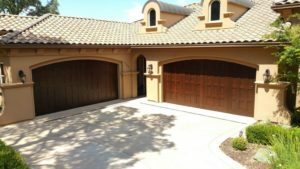 The doors we installed are from the Carriage House Company. They do a great job of blending the style with function and updated technology. You get to have beautiful wood doors that don’t compromise on safety or quality. You can see the difference in this side by side – one set of doors have been installed. Remember how we said the existing doors weren’t that bad. You can really tell the difference here! The darker wood of the new carriage house doors really compliments the house’s exterior paint and really updates the look. 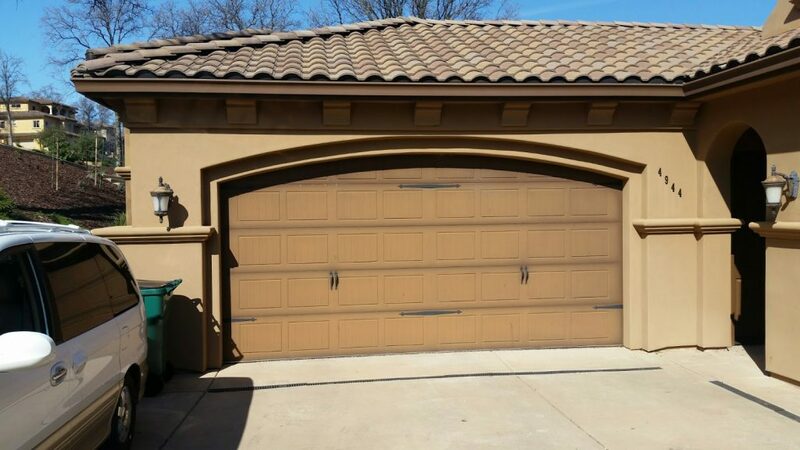 In addition to the beautiful doors, the decorative hardware and customization options available on these custom carriage house doors elevate the look even further. The metal details really help define a specific look. Other custom options include more metal accents, as well as decorative windows. The options are almost endless when you go for custom doors. Some popular styles include: Cambridge, Virginia, Carolina, Barcelona, Tuscan, Park City and Santiago. You can see what these look like here. Below is the completed project, with both sets of carriage house doors installed. Looks amazing! And most importantly, our clients were more than satisfied!